CAN ’10: Day 2 summary! Ok, who knows if we will be able to keep the BOLAS & BANDEIRAS editorial fires as stoked with journalistic kindling throughout the whoooole Nations Cup…but for now let’s have a Day 2 wrapup! Another shock result in the increasingly kooky Group A sees Malawi go top, earning 3 points. A poorly attended game, and sadly this match shed light on a sports-specific subset of Afro-pessimism: the stereotypes about incompetent goalkeeping which Algeria keeper Faouzi Chaouchi did little to dispel. Full credit to Malawi though, with Elvis Kafoteka’s thumping headed goal being the game’s aesthetic highpoint. A surprise loss will surely bring some bummed tweets from Les Fennecs—they’ve no points and a -3 goal difference (see tie-breaking criteria!) and have to mentally reorganize before facing Mali on Thursday. 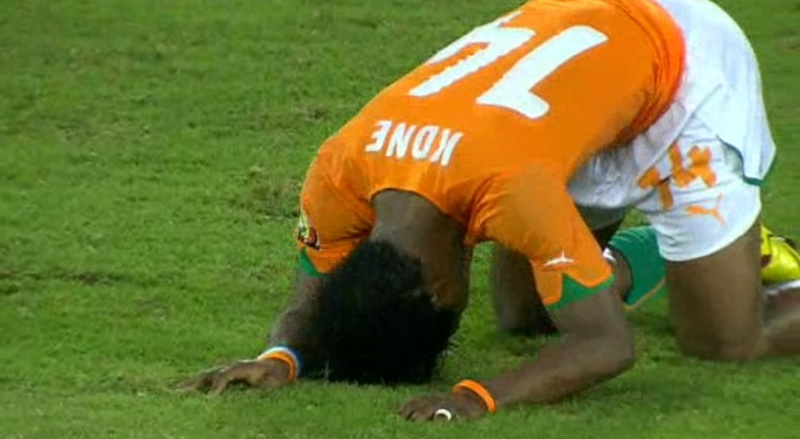 Sexxxy favorites Cote D’Ivoire looked disjointed against an extremely well-organized (the semi-patronizing compliment of choice when a team keeps a clean sheet, but does little else) Burkinabé side. 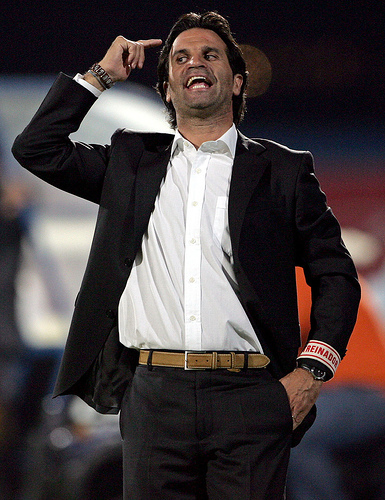 Paulo Duarte got his tactics right, even if they did entail putting 10 men behind the ball for much of the game—but who can deny them the tactical right of the weak! Any theoretical marauding by Eboué on the right was smothered out, and I saw little from Drogba (only caught the 2nd half). The Elephants most dangerous threat seemed to be Gervinho, but only in patches of the game. Perhaps the most frustrating moment was Baky Kone blowing a clear chance at ’68, putting wide an excellent cut back from Gervinho, whose run had seemed to have fizzled-out. So, Group B’s schedule is now a bit lighter with Togo out. 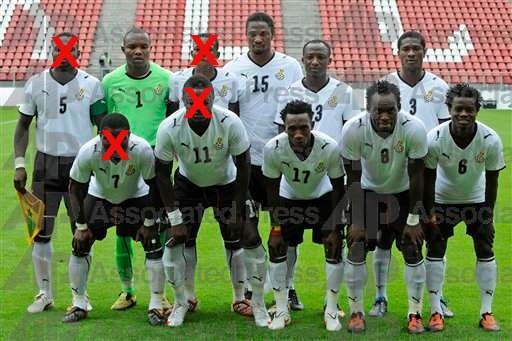 Ghana will have to wait to make their debut on Friday, against Ivory Coast. Today’s 0-0 makes that game yet more INTENSE, with the Elephants desperately needing some points. 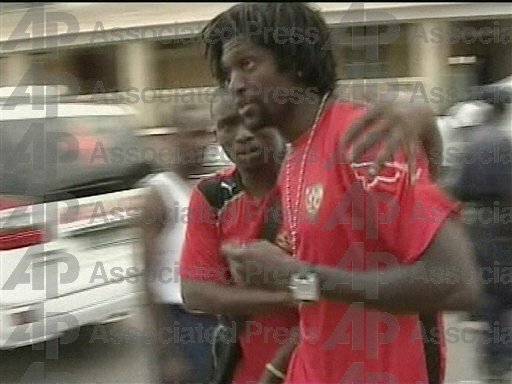 Burkina Faso now presumably have a week off, until their showdown with Ghana next Tuesday.